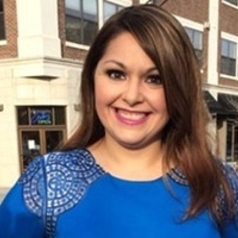 Former Ohio State Senator Capri S. Cafaro is the newest executive in residence at American University’s School of Public Affairs in Washington, DC. During her 10 years as a Democrat in the Ohio Senate, Cafaro established track record of legislative effectiveness and leadership, advocating for economic growth, healthcare and victim’s rights. As a State Senator, Cafaro served as the ranking member of both the Senate Medicaid Committee, the Joint Committee on Medicaid Oversight and the Senate Transportation, Commerce and Labor Committee. She was also the vice chair of the Senate Finance Subcommittee on Higher Education and a member of the Senate Ways and Means, Agriculture, Energy/Natural Resources and the Joint Legislative Ethics committees. During her tenure, Cafaro passed numerous bills into law, including a law to stimulate the development of goods derived from the agriculture sector. She also implemented “Tourism Ohio,” a dedicated program to promote the tourism economy in the state. Her efforts to change laws helped revitalize and grow small businesses, and reform Ohio Medicaid law. Cafaro graduated at age 19 from Stanford University with a degree in American Studies. She earned two master’s degrees: an MALS with a concentration in International Studies from Georgetown University, and a Master’s in Social Work with a concentration in health and administration from The Ohio State University. Cafaro was previously an adjunct at Youngstown State University where she taught a course on U.S. social welfare policy in their MSW program.